I do love mixing different styles and this time I want to show you a cool way of wearing a camel coat and white sneakers. 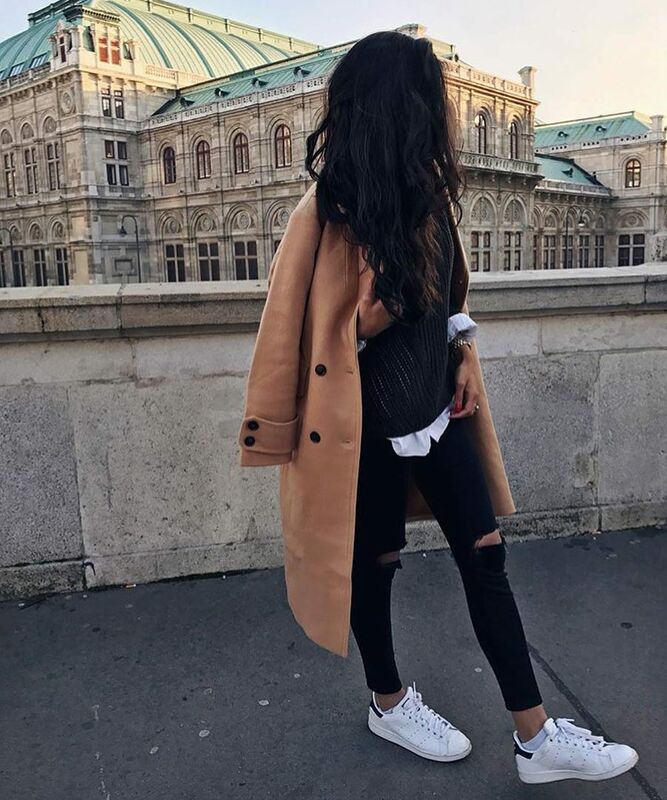 Go for a camel coat and layer it over black sweater teamed with a white shirt, knee ripped black skinny jeans and white sneakers. A perfect combination of casual street walks.